13 :: Movie Information :: RabbitTV GO! 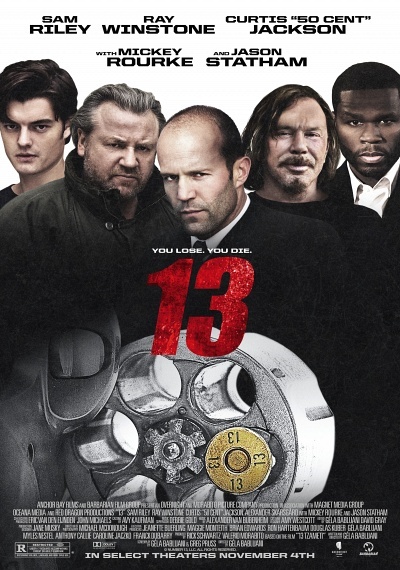 A naïve young man assumes a dead man's identity in order to join an underground game of Russian roulette. He finds himself embroiled in an underworld labyrinth of power, violence, and luck. The stakes are high, but the payout is more than he can resist. His only collateral is his life and however long his luck can hold. Are his odds any better than any other player in this most deadly game?